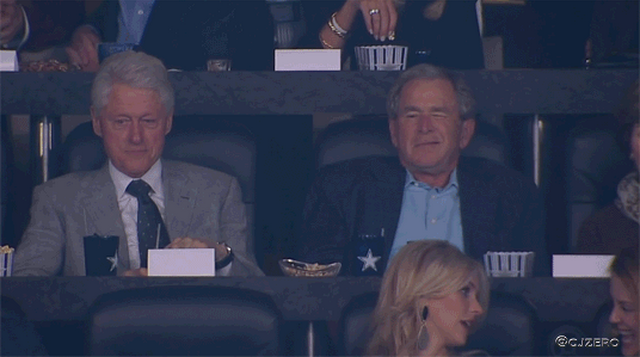 Want To See George W. Bush Defiantly Fart On National TV? No? You didn't want to see that? Well, you're here now and it happened. You saw one of our Presidents eat popcorn that was too buttered and let out a fart in front of 10 million people. That was your Monday night. We see you, Bill. He's got that "If you don't think I'm hitting on that blonde via inception right now, you're out of your mind" look on his face. Basically calling us idiots for thinking otherwise. Chicken Tender Prom Corsages Are Finally Here!